Mar. 18 (NBD) – The annual Consumer Rights Day gala held by China Central Television (CCTV) last Friday targeted, among other things, the health hazards of smoking e-cigarettes, including misleading nicotine indexes, formaldehyde contained in the vapor, and addiction risk especially to teenagers. The e-cigarettes in question can electronically heat liquids containing nicotine into vapor to simulate the smoke, flavor and experience of conventional tobacco. No tobacco tar and other harmful particles have been major traits touted by e-cigarette sellers, with some even claiming that e-cigarettes can help smokers quit the habit. The CCTV revelation could very likely send a heavy blow to the e-cigarette industry, which has been a crowded sector pursued by China's start-ups and venture capitals. 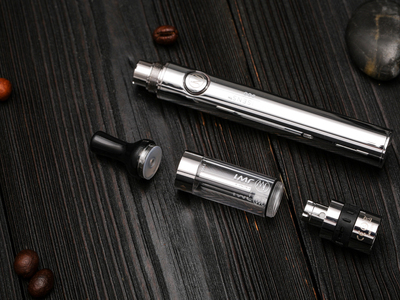 Dating from 2018, China's e-cigarette sector has seen more than ten funding events, which is more than the total of the previous three years, according to news outlet The Economic Observer. Wang Ying, former executive at ride-hailing giant Didi Chuxing, started e-cigarette brand RELX. Cai Yuedong, who built a popular self-media account, created YOOZ. In January, smartphone entrepreneur Luo Yonghao, who has a large group of loyal fans, promoted former employee Zhu Xiaomu's e-cigarette brand Flow. Investors including Source Code Capital, Cowin Capital, IDG, and ZhenFund Inc have made their deployment in the new form of smoking. It is an industry consensus that e-cigarette is a lucrative business with profit margin higher than 30 percent. Moreover, the threshold for start-ups is relatively low: building a brand costs 5 million yuan (745,290 U.S. dollars), and 50 million yuan (7.5 million U.S. dollars) can make a top player in the industry. China is the world's largest manufacturer of e-cigarettes, accounting for over 90 percent of global production in 2018. However, according to data from research and consulting firm askci.com, over 80 percent of these e-cigarettes were exported to Europe and the U.S. Besides, TobaccoChina.com estimated that the number of e-cigarette consumers in China stood at 1.5 million to 2 million in 2017, forming a tiny fraction (0.47 percent to 0.63 percent) of the smoking population. "This means e-cigarette has a very low penetration rate in China," said entrepreneur Liu Jihui to The Economic Observer. Compared with the mature market of the U.S., China's e-cigarette industry is at a preliminary stage with many issues to be solved, but China's advantage is the huge number of potential users, added Liu. The success of JUUL fueled the fever over e-cigarettes in China as well, said Li Oucheng, partner at Autobot Capital Partners. In December last year, the U.S. start-up, valued at 38 billion U.S. dollars, sold 35 percent of its shares to Marlboro's parent company Altria. 1,500 employees received about 1.3 million U.S. dollars as bonus. Warnings of the CCTV show, however, highlighted the biggest uncertainty facing China's e-cigarette industry: regulative policy. Though the nation's regulators banned selling e-cigarettes to teenagers in August last year, currently China does not have official and nationwide regulation of the sector. The nature of e-cigarettes is still undecided. The future of the industry is largely dependent on whether it will be viewed by regulators as consumer products, tobacco, or medical instruments, said Lu Huihuang, owner of an e-cigarette brand. Wei Wuhui, partner at SkyChee Ventures, said the TV show shall cool the enthusiasm of investment firms, which will become more cautious when considering e-cigarette projects.